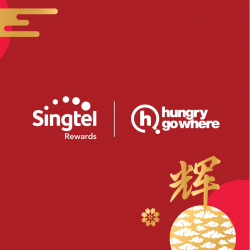 [Singtel] Discover new places to satisfy your cravings with delicious deals this month. 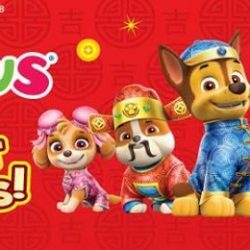 [Babies’R’Us] It’s the NEW YEAR, and it’s time for NEW DEALS! 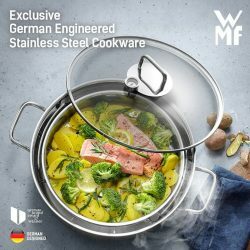 It's the NEW YEAR, and it's time for NEW DEALS! 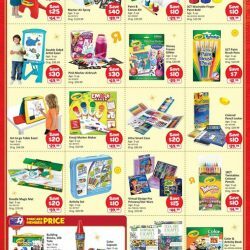 Get great deals on Paw Patrol, Crayola, Fast Lane, and NERF! Check out all new toys from MARVEL BLACK PANTHER as well! 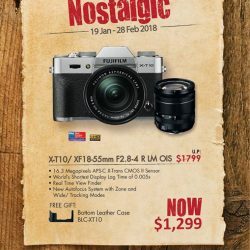 XT10/XF18-55MM kit will be available at studio at a very Good deal from tomorrow 19 Jan - 28 Feb 2018. 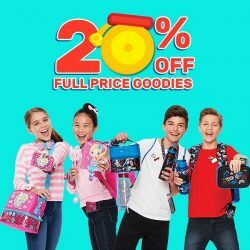 [Smiggle] heya smigglers, have you shopped this awesome offer? [Guardian] Feeling blue after that post-holiday weigh-in? 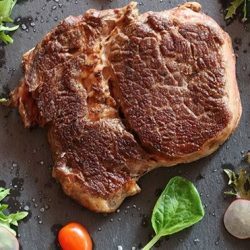 Feeling blue after that post-holiday weigh-in? Don't fret — reversing the effects of all those treats is not so difficult after all. 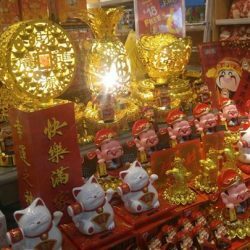 Just tuck into these healthy, high energy foods, so that when the Lunar New Year comes around, you will be in perfect shape! 1. 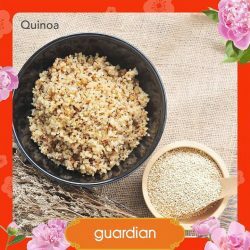 Quinoa: This protein-rich food contains all the nine essential amino acids. Loaded with anti-oxidants, quinoa is also a blessing to your skin. 2. Tuna: Get your energy levels up with a delicious tuna casserole. Loaded with protein, vitamin B and omega-3 fatty acids, tuna is great for your body and your skin. 3.Lentils: One cup of cooked lentils only contains about 230 calories, but still leaves you feeling full. 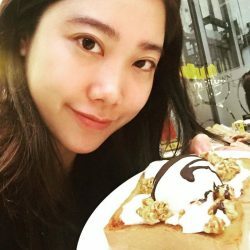 Thus, if you are looking to curb binge eating, this is a great option. 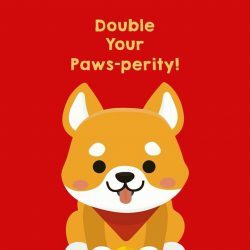 [Fox Fashion Singapore] Double your Paws-perity with FOX this year! A declassified true story, a compelling drama of the 12 soldiers who volunteered to fight a day after the 9/11 attack. 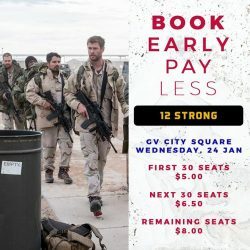 Book your tickets to the #12Strong screening at #GVCitySquare on 24 Jan early and save more! 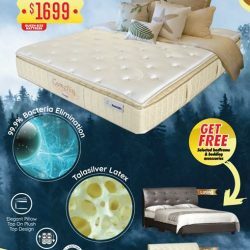 [Babies’R’Us] NEW YEAR NEW DEALS! 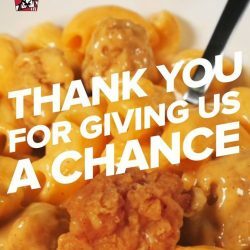 Come check out what we have in store for all of you! Plus special promotions for members only inside! 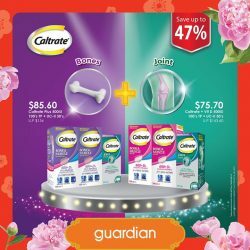 [Guardian] With the nutrients that help in Calcium absorption, Caltrate® boosts muscle strength, thereby reducing the risk of bone fracture. With the nutrients that help in Calcium absorption, Caltrate® boosts muscle strength, thereby reducing the risk of bone fracture. Specifically designed to improve your bone and joint health, these supplements are safe to be taken with your multivitamins. 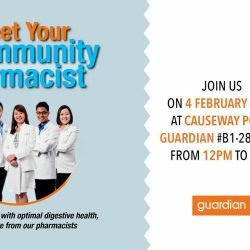 [Guardian] Come meet our friendly Guardian pharmacists and enjoy a slew of health activities on the day! Come meet our friendly Guardian pharmacists and enjoy a slew of health activities on the day! What's more - you get to interact and get first-hand advice from our pharmacists on all the available services which guardian offers. At Nectar, we're all about being creative and this 24 Jan, we're getting hands on with @nataliestudio for a very special watercolour session! You'll get to paint our favorite desserts as well as create and savour the real deal thereafter using our wide range of handcrafted toppings! 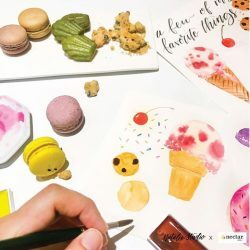 To join us for this workshop, simply head over to @nataliestudio's website (http://ilovenataliestudio.com/product/24-jan-sweet-treats-workshop)! 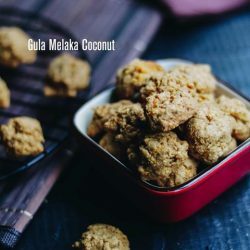 At Cedele, we always strive for making our products unique, Inspired by the Peranakan flavour, our Almond Ikan Bilis got the savoury local taste that goes wonderfully with beer, while our Gula Melaka Coconut brings to you a sweet explosion of tropic flavours. 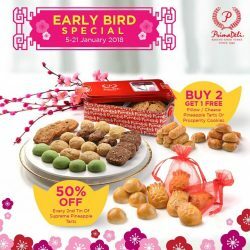 Don't forget to save 15% when you purchase 10 tubs of cookies while earning double rebates during this festive season!